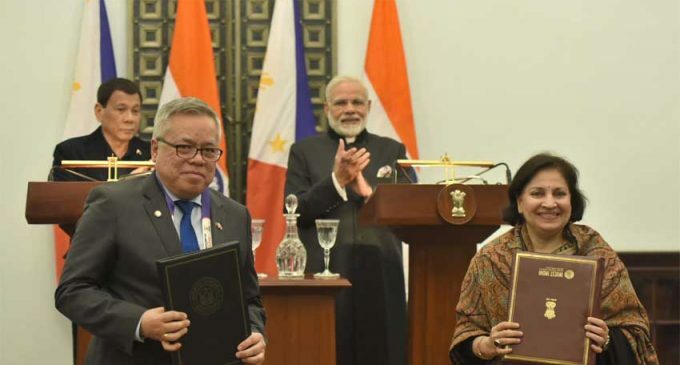 New Delhi, Jan 25 India and the Philippines on Wednesday signed an investment facilitation agreement following a bilateral meeting between Prime Minister Narendra Modi and Philippines President Rodrigo Duterte here. The two leaders discussed trade and investment, defence and security, education, and people-to-people cooperation, according to External Affairs Ministry spokesperson Raveesh Kumar. 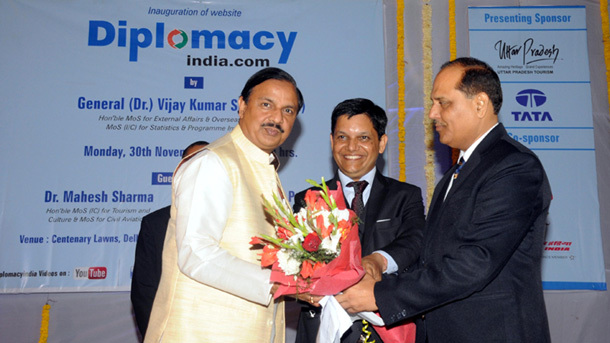 “An agreement to facilitate investment was signed,” Kumar tweeted. India-Philippines bilateral trade stood at nearly $2 billion in 2016-17. In 2016-17, India’s exports amounted to $1.487 billion and imports totaled $494 million. Modi visited the Philippines in November last year to attend the Asean-India Summit. It was the first prime ministerial visit from India to that southeast Asian nation in 36 years since the visit of then Prime Minister Indira Gandhi in 1981. Duterte arrived here earlier on Wednesday to attend the Commemorative Summit to mark 25 years of the India-Asean Dialogue Partnership to be held on Thursday. Heads of state and government of all 10 Association of Southeast Asian Nations (Asean) regional bloc will be attending the Summit. Under its Act East Policy, New Delhi is pushing to boost its relationship via connectivity, commerce and culture with this regional bloc. Prior to his meeting with Duterte on Wednesday, Modi held bilateral meetings with Myanmar State Counsellor Aung San Suu Kyi and Vietnam Prime Minister Nguyen Xuan Phuc. On Friday, Duterte will be among all 10 Asean heads of state and government who will attend this year’s Republic Day celebrations as guests of honour, something unprecedented, since the leader of only one foreign country has attended the event as the chief guest all these years.